Was a St. Petersburg Journalist Brutally Killed for Being Gay? It was clear something was afoot with Dmitry Tsilikin. There had been no news from the journalist since he had returned from a work trip to Riga on March 26. Calls, social media and text messages had all gone unanswered for days. Tsilikin, 54, a well-preserved slender man and one of St. Petersburg's most prominent music and theater critics, was not one to drop off the radar. He was a meticulous perfectionist in everything he did, even when it came to responding to calls. Concerns were mounting. 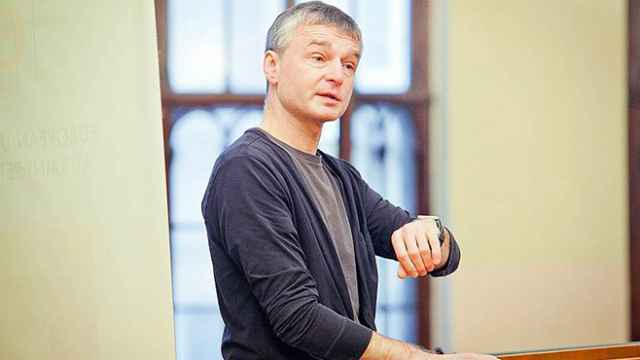 On March 30, a day after deadline day, Tsilikin still hadn't submitted his weekly column to the Delovoi Peterburg newspaper. It was the first time in more than eight years as a columnist that Tsilikin was late without explanation. 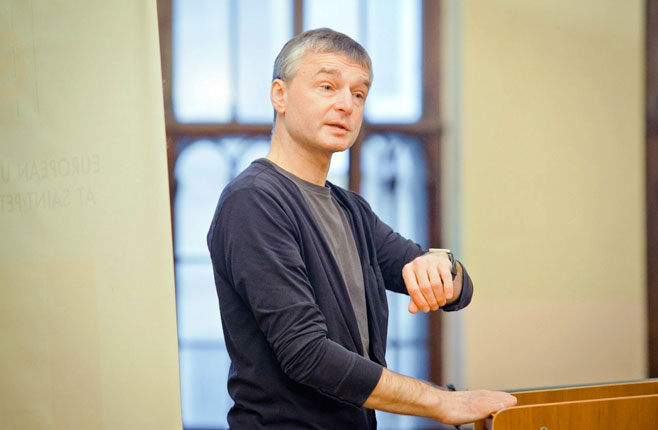 "Dima was the only person I have ever met whose column always arrived on the dot," says his editor Dmitry Grozny. "You could sync your watch by him." When, a day later, Tsilikin was a no-show at an important opening performance at St. Petersburg's famous Mariinsky Theater, an orchestra of alarm bells went off. Tsilikin's friend Yelena Volgust remembers something Tsilikin had once said in jest. "If I ever miss a deadline, it can mean only one thing — that I'm dead," he had said. It proved an ominous prophecy. 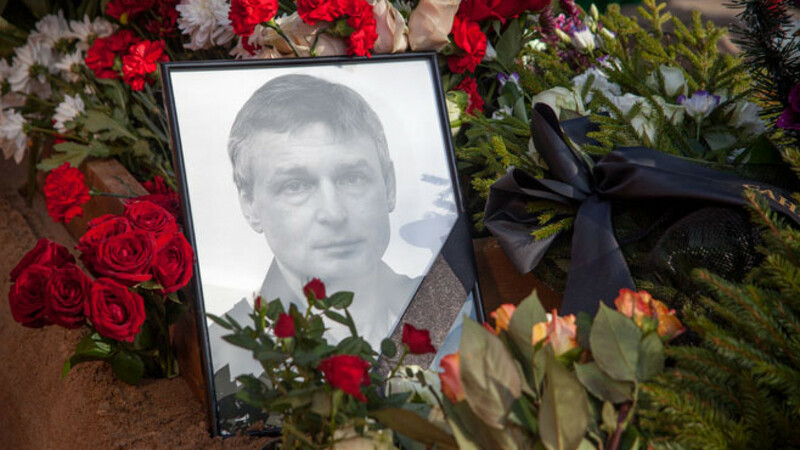 That same evening, five days after Tsilikin vanished, police and relatives forced open the door of his apartment on St. Petersburg's Prospekt Nauki. They did not have to go far. Blood was smeared across the wall immediately facing the door. Tsilikin had posited to Volgust that his preferred death would be by poisoning; death would come instantly, he reasoned, "without time for reflection or hope." When the moment came, however, that was a far cry from what happened. Evidence from the crime scene suggests he was stabbed multiple times with a large knife. 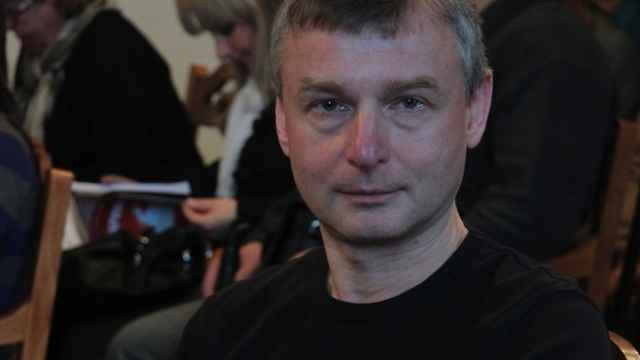 The murderer had then taken Tsilikin's mobile phone and laptop and locked the door behind him, leaving the journalist trapped in his own home to bleed to death. When police found him, Tsilikin had already been dead for days. On April 9, a sunny spring afternoon, some 200 people gathered at St. Petersburg's Serafimovskoye cemetery for Tsilikin's burial. He was a well-known figure in these circles and his unexpected death has profoundly shaken the cultural elite. Many of those attending could barely contain their tears. Tsilikin worked for eight years as an actor before rising to prominence as a self-taught music and theater critic and editor. From the early 1990s he worked at newspaper Chas Pik, a symbol of glasnost-era idealism and growing media independence. He dabbled in television, working as a presenter for cultural programs on the RTR television channel and St. Petersburg's Channel Five in the early 2000s, and was a contributor to prestigious Russian newspapers such as Kommersant and Vedomosti. "In the 15 years that I knew him, Dima's outward appearance barely changed: he remained young and ambitious," says Dmitry Grozny, his editor at Delovoi Peterburg. "He helped bring about the Silver Age of Russian journalism," said prominent literary critic Nikita Yeliseyev in a eulogy at the funeral. Speaking to The Moscow Times, Volgust, who worked under Tsilikin at Chas Pik for years, describes him as "an editor sent from God." Tsilikin's erudition and acute mind sharpened his pen. In his final review before his death, he described a ballet being performed at the Mariinsky as "a musical coffin" and compared the choreographer's work with the "the galvanizing of a corpse." His editor, Grozny, describes how Tsilikin had recently been denied accreditation for a performance at a St. Petersburg venue. "Have I become a persona non grata?" Tsilikin had asked rhetorically in a conversation with Grozny. While his sharp reviews made him a number of enemies, most of Tsilikin's close acquaintances believe it was not his sharp words, but his sexual orientation, that led to his murder. They blamed rising homophobia in Russian society for creating the conditions for horrific crime, although few people would say so openly. As well as being the cultural capital, St. Petersburg is also home to Vitaly Milonov, one of Russia's most relentless anti-LGBT campaigners and co-author of the so-called gay propaganda law, which went into force nationwide in 2013. The Kremlin's backing of the law, which criminalizes the distribution of information on homosexuality in the vicinity of children, has widely been criticized as lending legitimacy to widespread homophobic prejudice. And that prejudice runs deep: According to the independent Levada Center pollster, more than half of Russians think gay people should be either "liquidated" or isolated from society. That poll was conducted in November 2015. Six months earlier, the pollster reported that 37 percent of respondents considered homosexuality a disease requiring treatment. In some cases intolerant views are put into action. Between 2012 and 2014, the vigilante group Occupy Pedophilia infamously used social media and dating sites to lure gay men, whom they conflated with pedophiles, into meetings before proceeding to attack and humiliate them on camera. Though the group's leader, Maxim "Tesak" Martsinkevich is currently behind bars — on charges not related to his anti-LGBT activities — most of those who participated in the attacks still walk free. Boris Vishnevsky, a municipal lawmaker for the liberal Yabloko Party, was the only politician at Tsilikin's funeral. He told The Moscow Times that "an atmosphere of hatred" towards LGBT communities is being "fueled" by government and goes without punishment. "This was not the first time that people are targeted for their sexual orientation and I fear it won't be the last," he said. In life, Tsilikin was known for his absolute discreteness and never spoke about his private affairs — even with friends. Speaking to The Moscow Times, most of his friends were hesitant to speak about his sexual orientation, considering it a form of betrayal, even after his death. "Dima never gossiped. People's private lives were completely off-limits," says music critic Yuliya Bederova. She describes his reticence to open up as a combination of his view of high culture and his personality. What we do know is that Tsilikin lived alone in a strictly minimalist flat with little furniture and no other decoration except for leafy potted plants. He rarely invited people to his home, leading some to wonder how his murderer ever made it past the doorstep. Almost a week after the gruesome discovery of Tsilikin's corpse, investigators said they had detained Sergei Kosyrev, a 21-year-old student at St. Petersburg's Hydrometeorological University. After the so-called gay propoganda law was passed in 2013, there have been numerous clashes between LGBT activists and anti-gay protesters. 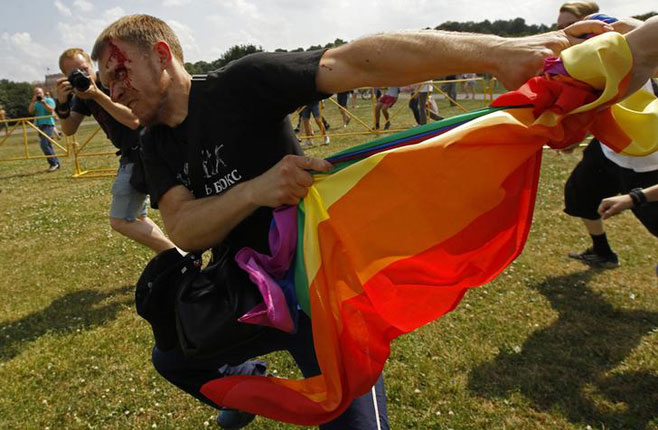 At this Gay Pride event in St. Petersburg in June 2013, dozens of people were attacked. Official reports by the local branch of the Investigative Committee provide little detail. The story they tell is that Kosyrev and Tsilikin met online. On March 27, Kosyrev visited Tsilikin's home where a fight ensued, during which Kosyrev repeatedly stabbed Tsilikin with a knife. Another statement said Kosyrev had confessed to the crime during questioning. Pictures of a closed court hearing show a young man with waist-length brown hair and pale skin with a large tattoo on his neck and wearing a Gothic-style t-shirt with a skeleton print. A VKontakte social media page reportedly belonging to Kosyrev offers more ominous clues, with images of Japanese Samurai fighters, women in explicit poses and Nazi symbolism, including photographs of Adolf Hitler. One image shows a picture of a Samurai helmet with the text: "Born to Kill." Another image says: "Knowing is half the story, the other is violence." What the official report does not answer is how Tsilikin, a man from the upper echelons of St. Petersburg's cultural scene, could have come into contact with a black-metal lover with Nazi sympathies and ultra-right views. According to the Komsomolskaya Pravda tabloid, Tsilikin met Kosyrev roughly two years ago on a dating website. An acquaintance of Tsilikin's, who declined to be named, told The Moscow Times that story was likely true. The acquaintance says it was known Tsilikin used the Internet to contact other men. The tabloid story reported that Kosyrev told investigators he recognized the journalist immediately and was planning to extort him. The equipment he reportedly brought with him — an automatic rifle, large hunting knife, gloves and fresh clothes — would, however, suggest he had been on a mission to kill. More evidence that Tsilikin had become the victim of a homophobic crime came when local news website Fontanka cited an unidentified source in law enforcement as saying that Kosyrev had asked to be addressed as the "Cleaner" during questioning, and that he had described his life as "a crusade against a particular social group." He also reportedly cited the drummer for the black-metal group "Emperor,"Bard Eithun, as one of his role models. In the early 1990s Eithun was convicted for fatally stabbing a gay man in Lillehammer, Norway. Kosyrev's lawyer Viktor Zamyslovsky told The Moscow Times the news reports were "total nonsense." His client had neither confirmed nor denied his role in the murder, the lawyer said. He refused to disclose any further information other than that Tsilikin and Kosyrev had, indeed, corresponded online and a psychiatric evaluation of his client was still pending. Even if proven, it is likely that Tsilikin's murder will never be legally recognized as a homophobic killing. 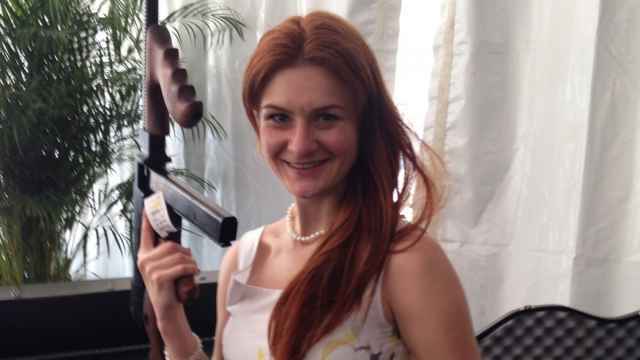 Kosyrev is currently facing simple murder charges, rather than "murder motivated by hatred toward a specific social group." It could make the difference between six years in prison or up to a life sentence. According to Human Rights Watch's Tanya Cooper, it is not uncommon for Russian law enforcement to veil hate crimes in this way. She cited "several dozens" of crimes targeted specifically against LGBT people that have gone unrecognized by the legal system. These include a 2013 attack on gay rights activist Dmitry Chizhevsky, that caused him to lose sight in one of his eyes. Part of the problem is that it is up to the court to decide whether or not those of a specific sexual orientation can be considered a "social group." This usually means crimes motivated by homophobia are rarely classified as hate crimes. 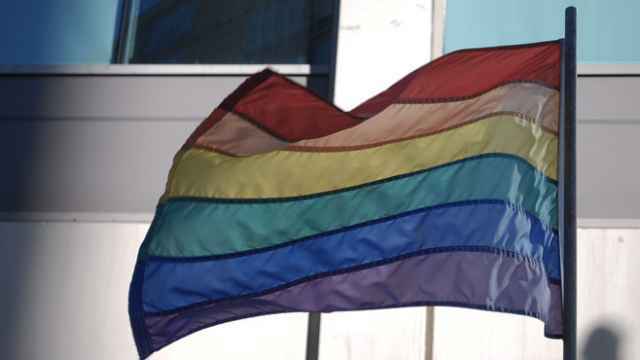 "We've been battling for years to include sexual orientation and gender identity as aggravating circumstances," says leading gay rights activist Nikolai Alexeyev. With little still confirmed about the exact circumstances of his violent murder, Tsilikin's close friends say they are trying to find solace in tragedy. Tsilikin went to great pains to maintain his youthful appearance and practically hadn't aged for years, his friends say. "He never wanted to become an old man," says Bederova. "Now he'll stay young forever."